Last year, two forestry researchers from UMaine, along with a colleague from Purdue University, published a paper in The Journal of Applied Ecology about how New England’s beech tree population has exploded over the past several decades. That’s bad news, both because beeches spread at the expense of other species, including sugar maples, red maples, and birches, and because beeches are highly susceptible to a bark disease that stunts their development and makes them commercially useless. But despite its dire implications, the study flew under the radar until recently, when a TV news station in Bangor aired a story based on the findings. After that quick mention of a hot-button topic — climate — news of the study spread like, well, beech trees. The Associated Press put out a story with the headline “Beech Booming as Climate Changes, and That’s Bad for Forests.” Newspapers and websites across the country echoed that angle, playing up the apparent impact of climate change. Although glad to see his research get traction, Weiskittel wasn’t thrilled at how the rapid-fire news cycle had reshaped it. Beech bark disease became increasingly widespread in the northeastern U.S. over the course of the 20th century. 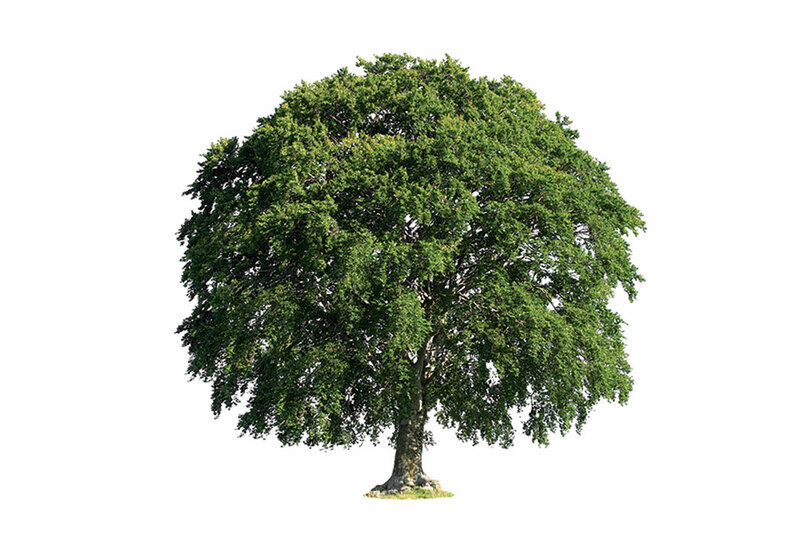 Previously, the beech was a thriving — but not rampantly spreading — indigenous tree. It produced an edible nut popular among forest critters, especially black bears, and it made great lumber for furniture and cabinetry. Now, fewer and fewer beeches reach maturity, generating neither nuts nor useful wood, and the species gets an increasingly bad rap. “Some people would call it a ‘native invasive,’” Weiskittel says. The silver lining for Mainers is that, so far, the problem hasn’t grown as acute here as in Vermont and New Hampshire, where active management of the woods isn’t as common. “It speaks well of the importance of a working landscape like we have in Maine,” Weiskittel says. One reliable way foresters can manage beeches is to cut them in winter. When the ground is frozen and the root system is dormant, additional saplings won’t sprout up. In that way, climate change might have a small part to play here: warmer winters mean less window to properly manage beeches. Still, Weiskittel suspects that for the next 50 or so years, good management practices will be key to mitigating damage. After that, all bets are off regarding both beeches and the overall health and diversity of the Maine woods. Eventually, he says, climate change will become the “primary driver” of changes in our forests. Many species on the East Coast have already begun shifting their populations north. So the instincts behind all those headlines weren’t completely misguided — just half a century premature.